After our successfully launched projects Goldmine Complex (Zirakpur) and then Silver Enclave (Kharar), now we have come up with residential project Maya Garden located on VIP Road, near Patiala - Ambala Highway on Zirakpur (Near International Airport), Chandigarh in 6 Acres (Phase 1) , 5.5 Acres (Phase 2),5.5 Acres(Phase 3) . Riding high of the success wave of our previous ventures, we are enthusiastic and delighted to announce our latest brainchild, Maya Garden-3, a project summing up all ingredients to carry forward our legacy. The project, having 230 finest apartments, will simply redefine international luxury living in the region.The 3 BHK / Penthouses AC apartments, set against picturesque green landscape, will feed body, mind and soul alike. 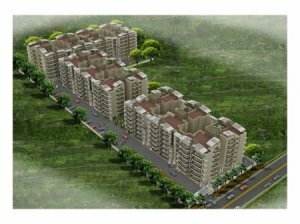 Maya Garden 3 will be a class in itself which will set new benchmarks in luxury, comfort and style. Conceived with passion and executed with dedication, Maya Garden-3 will be known for strong economic viability and a perfect combination of architectural wonders and aesthetics. Going miles ahead in providing best has always been a habit at Maya Estatz. Each apartment is thus fully furnished in every sense providing already fitted amenities like geysers, split ACs, fans, RO system, tube lights / CFL. don't delay to book penthouse. Pent house - Super Area 3240 Sq. ft.
Ready to move 3240sq.ft. (1795sq.ft. Flat Area + 1445sq.ft. Terrace Area) is Available for Immidiate Sale. 3 BHK - Area 1439 Sq. ft.
4 BHK - Area 2238 Sq. ft.
3 BHK Plan (First floor with garden area) - Area 1940 Sq. ft.
3 BHK Plan (Forth & Fifth floor) - Area 1797 Sq. ft.
4. Maya Garden Phase 3Exten. (possession in Dec.2012) - (Booking Open) 2BHK Plan - 1155sq.ft. - 1st to 10th Flr. 3BHK Plan - 1530sq.ft. - 1st to 10th Flr. • 100% power back-up free for essential services.